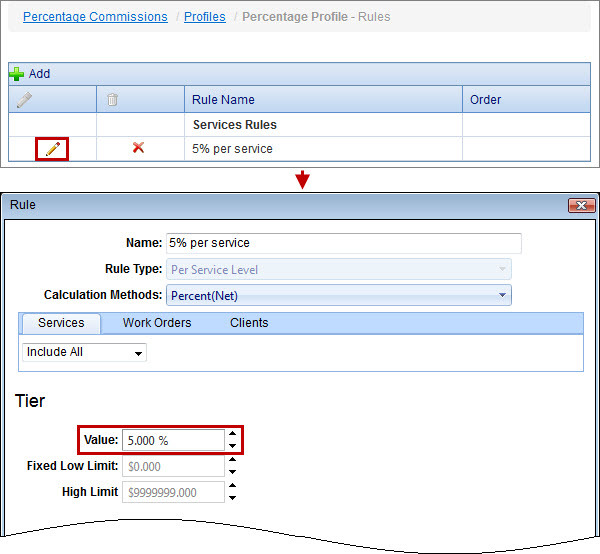 You can set up percentage commissions for calculating employee or sales advisor commissions based on sales amount. On the Company tab, click Commission Types, and then click Add on the toolbar. In the Commission Type dialog box, enter commission type name, and then click OK. 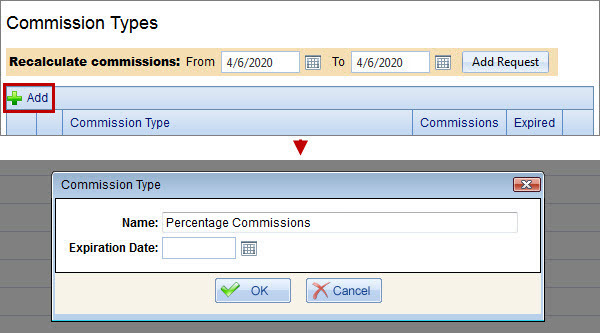 Note You can add percentage commission profile to an existing commission type; however, you should take into account that you can assign employee or sales advisor only to one commission profile of the same commission type. Click the Profiles link next to the appropriate commission type, and then click Add on the toolbar. In the Commission Profile dialog box, enter the appropriate settings, and then click OK. 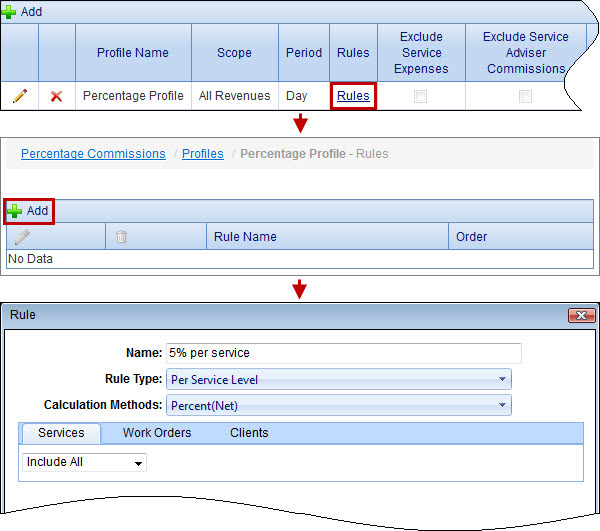 Note Profile scope is not applied to profiles assigned to sales advisors. Click the Rules link next to the appropriate profile, and then click Add on the toolbar. In the Rule dialog box, click Percent(Gross) or Percent (Net) in the Calculation Methods box, enter the appropriate settings, and then click OK. Note Percent(Gross) means that percentage is calculated from the amount with surcharges, if any, while Percent(Net) means that percentage is calculated from the amount with surcharges and discounts, if any. 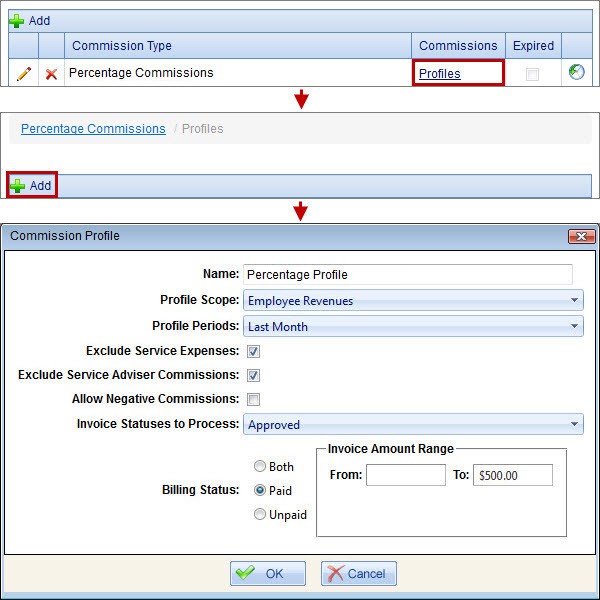 Click Edit next to the appropriate commission rule, and then in the Rule dialog box, enter the appropriate percentage rate in the Value box, and then click OK.
On the Company tab, click Employees, and then on the Employees page, click the Profiles link in the Commissions column next to the appropriate employee. 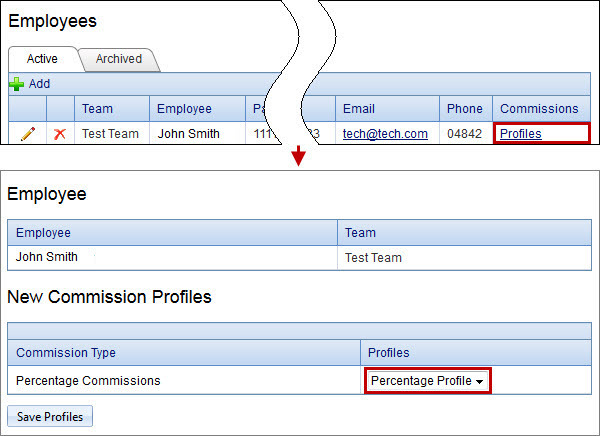 On the New Commission Profiles page, in the Profiles column, select the commission profile with the percentage commissions rule, and then click the Save Profiles button.